Hashtags have made their way across social networks, but there is nowhere they shine more than on the social network where they first started – Twitter. The feature, first introduced by a Twitter user, has taken on a life of its own. Twitter hashtags have become a great way to label tweets, to create a trending topic, or simply interact with like-minded people on Twitter. It can sometimes be a little overwhelming trying to navigate the sheer volume of Twitter hashtags, and it can be a challenge trying to figure out how to use hashtags to your advantage. If you want to make sure that your tweets are reaching the maximum possible audience, and give yourself the opportunity to take your topic viral, we’ve put together a list of things to bear in mind when it comes to putting hashtags to use for you on Twitter. While these tips are Twitter-specific, there’s no reason why they can’t be applied to other social networks, including Google+ and Instagram, where hashtags are alive and well. People use the Twitter hashtag symbol # before a relevant keyword or phrase (no spaces) in their Tweet to categorize those Tweets and help them show more easily in Twitter Search. There are a few key tips that are worth keeping in mind when using hashtags. If you’re trying to get an idea to spread on Twitter, pick your hashtag carefully. Don’t pick a hashtag that’s too long so it doesn’t take up too many characters in your 140-character limit. Make sure your hashtag is descriptive and can easily be associated with the concept you’re trying to convey. You also have to make sure the hashtag is unique so that it doesn’t become overrun with irrelevant tweets with users using your hashtag for other subjects. Continuing off the previous point, be sure to do a quick search on Twitter to make sure the hashtag isn’t already in use. Be cautious about how many hashtags you use in a tweet. You’ve only got 140 characters, so there’s no need to tag each and every word – as that will likely lose you followers rather than gain them in the process. You would think this would go without saying but it has happened several times. Marketing accounts have hijacked sensitive and emotional events around the world. Kenneth Cole’s PR machine used the February 2011 protests in Cairo to promote a new fashion line while a year later, Celeb Boutique didn’t take the time to check why Aurora was trending on Twitter following the fatal shooting in Aurora, Colorado in December 2012. This also comes back to carefully searching a hashtag before using it. It’s key that you understand how the hashtag is already being used on Twitter. 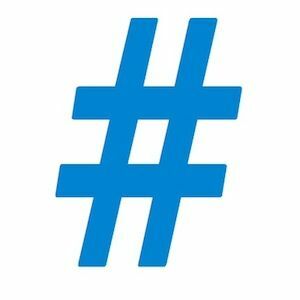 When attending conferences, watching popular TV shows, or taking part in group events, you can use hashtags to share your thoughts on the experience. This is another aspect of using hashtags that you should use carefully. If you’re livetweeting, be selective regardless so that you don’t flood your followers with tweets that might not be of interest to them. Hashtags are used to label all sorts of useful and creative information – everything from job listings How To Use Twitter To Help You Find A Job How To Use Twitter To Help You Find A Job When it comes to searching for a job online, we're pretty spoiled for choices. Whether it's using job boards like Monster, search engines like Indeed, and specialized sites like Idealist, there are a lot of... Read More to poetry Twiterature - The Art Of Literature On Twitter Twiterature - The Art Of Literature On Twitter You can find Twitter users sharing their poetry, short stories, and even the work of famous writers, all in little bite-sized 140-character updates. If you're not sure where to start on your literary journey on... Read More can be found on Twitter through hashtags. You can keep up with your favourite topics using hashtags, as you’ll find with this list of hashtags tailored for every writer 15 Twitter Hashtags That Every Writer Should Know About 15 Twitter Hashtags That Every Writer Should Know About Although Facebook continues to defend its position as the most popular social networking platform, you shouldn’t focus all of your attention there. Where else can you go? Twitter! Twitter is a great resource for social... Read More , or even discover topics you knew nothing about. Storify is a great service to find out the broader narrative of how a Twitter hashtag is being used. Searching the hashtag on Storify will show you how it’s being used within larger stories, so you can find out more about the topic, in a pretty slick layout. Find out more about Storify in our in-depth review of the service Tell Your Own Media-Rich Web Story With Storify [Unlimited Invites] Tell Your Own Media-Rich Web Story With Storify [Unlimited Invites] I did my first newspaper clipping back in my elementary school years. I don't remember what the topic was, but I remember that it was a great way to focus on a story out of... Read More . Topsy is a great way to find out how your hashtag is doing, and allows for a more robust search of Twitter than the social networking’s own native search. The best feature, by far, that Topsy offers users is one which allows you to see the analytics of the hashtag. You can view how often it’s been used over the past day, week, 2 weeks, or month. Find out more about Topsy in our post about the service here Twitter Search: 4 Ways To Find Results That Matter To You Twitter Search: 4 Ways To Find Results That Matter To You Twitter search has its limits. For one, you can only search back so far, with Twitter making public search results available only for a limited period of time. That said, there are a few tips... Read More . Sopularity is still in private beta but the service looks promising. It will help you figure out what words to hashtag in your tweets, through an automated service. You can get 5 suggestions for free per day, or, for €5 a month, you can get unlimited suggestions. Tell us in the comments how you have used Twitter hashtags. Are they a useful tool for you? Do you have any tips or tricks on how to use hashtags? Let us know about them in the comments. I was having no idea what hashtags were, before reading this.